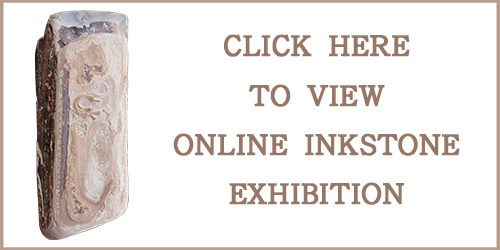 At the same time, there will be an exhibition of inkstone, an artistic value collected by Eastover Eco-village. As a synthetic product of man-made and natural, inkstone is not only an instrument of ink painting and calligraphy, but also an independent precious work of collectibles and art, which embodies the beauty and creativity of different stone materials in terms of their moistures for making good ink, color, scarcity and sculpture. This exhibition will show the interesting inkstone handcrafted by different stone materials and sculptors. It will also let the audience understand how Chinese culture is conveyed through brush and ink. Zhang Zhaohui is a mid-career Beijing-based artist who has been deeply involved Chinese art torrent and practise over the last three decades. Zhang learnt traditional Chinese ink painting and calligraph during his childhood, with a dream of artist career. His education at Museum Studies program at NanKai University allowed him, in 1988, to acquired an assistant curator position at the National Museum of Fine Art. During 7 years’ in-service at China’s top art institution he had acquired a great deal of first hand experience, including the ongoing Avant Garde art movement and international travel exhibitions. A grant from Asian Cultural Council brought him, in 1995, to study the curatorship at Bard College in up-state New York. Around the turn of the new millenium he came back to Beijing to start his new career as a freelance curator and independent artist. In 2016 he quit from his PhD program at CAFA(Central Academy of Art), and then devoted himself onto the rennovation and transition of ink painiting into contemporary art expression. Over the last decade ink art emerges as one of the eye-cataching phenomennon. Zhang Zhaohui is one of the outstanding practitioner active in new Chinese art horison. Based on his in-depth research of traditional art history/theory and world modern/contemporary art, Zhang gradually developed his own art language, which is infuse Chinese ink painting with “selected elements of Western modernism, thus producing a hybrid formthat revitalizes his culture’s single most representative medium”. His repertoire is an organic integration of abstract, optical, minimal, with ink-on-rice-paper, refreshing the ideology-charged sterotyped Chinese contemporary art. The upcoming solo show, entitled Lubrication, is Zhang’s first major presentation in USA, showcasing 23 pieces over a span of 8 years. The exhibites can be roughly divided into three catagories. The first presents a otherworldly prinstine territory, a picture of Daoism key tenet: the world’s automatic operating before and after humankind. The spirit drenched landscape reminds viewer of Friedrich’s image of open nature signifing a statement of sublime. The second category is semi-abstraction inspired by poems during Tang Dynasty (618-907A.D) . It is dialogue with sentimental natural surroundings, such as wind, rain, bamboo, leafage, etc. The third section is pure linear abstract works, which are highlighted in the show. Patterns constructed by ink lines in different layers and with varied saturations of water. The grayish light penetrates the surface, softens conflict, shedding a moist luminosity: all images is a study of light, the various significant metaphors of light.